There were over a million persons working as carpenters in the U.S. in 2010, making it one of the larger trades. Almost 40% of these workers were self-employed, either owning a carpentry business or working as an independent contractor. Of those that were employed by others, the majority worked in the residential or commercial construction industries. Carpenters have a wide variety of skills and do much more than just pound nails into wood and many carpenters concentrate in a particular area such as framing or finishing. If you or a family member was injured while working as a carpenter, you are likely entitled to workers compensation benefits. Contact the workers compensation attorneys at Rosenfeld Injury Lawyers LLC for more information and a free review of your legal rights and options. Residential carpenters. Those who work on home building and remodeling are considered residential carpenters. This is typically what people think of when a carpenter comes to mind. They may be involved with building everything within the home, from the floor and walls to the cabinets and outside deck. Commercial carpenters. Carpenters that work on commercial projects such as schools, hospitals and shopping centers often work with more than just wood. They may be working with steel in frame and wall construction or molds for cement forms. Industrial carpenters. Many public works projects use industrial carpenters to help build bridges, scaffolding and tunnel bracing. These specialized carpenters work with many different materials and ion large-scale projects. Given the variety of work that a carpenter may be doing, there is many different kinds of work hazards they may need to deal with. 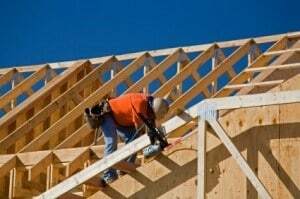 Since many carpenters work in the construction industry, they share the same risks as many other tradesmen that work on these same residential or commercial building sites. Fall injuries. Falls cause the most injuries and deaths in the construction field. In 2010, there were over 10,000 injuries and 255 deaths from falls from elevated heights by those working in the construction industry. Power tools. Nail guns and circular saws both are common power tools that cause injury to carpenters. The Center for Disease Control reported over 37,000 emergency visits due to nail guns every year. Falling objects. An object is striking one of the top four hazards in the construction industry. Carpenters working below others on a job site are at risk for falling materials, construction debris and equipment. While employed carpenters are covered for injuries under worker’s compensation, those that are self-employed or working as independent contractors are in a precarious position when they are injured. If they do not have worker’s compensation on themselves, they may be injured without any insurance to pay for medical bills or lost wages. In some circumstances, the company or entity that hired them may be liable for their injuries– such as a general contractor on a construction site. Since so many carpenters are self-employed, it is important to know what your legal options are if you have had a work related injury. Rosenfeld Injury Lawyers LLC are experienced work injury attorneys that understand the strain that a work injury can put on a carpenter, physically, financially and emotionally. Whether you are employed by a company or self-employed, it is important to know what your options are for financial compensation. Our construction site accident attorneys will meet with you to discuss your case, free of charge. We never charge a fee unless we are able to recover financial damages in your case.